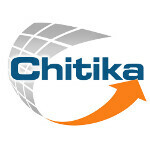 Chitika's mobile ad network allows them to have a special insight when it comes to looking at certain data and trends. Back in October, the Apple iPhone 5 held an eight percentage point lead over the Samsung Galaxy S III when looking at comparative web share between the two phones. Now, the lead is down to two measly percentage points. That is the latest data from Chitika based on tens of millions of mobile ad impressions that were sent over Chitika's network in the U.S. and Canada from February 1st through February 9th. 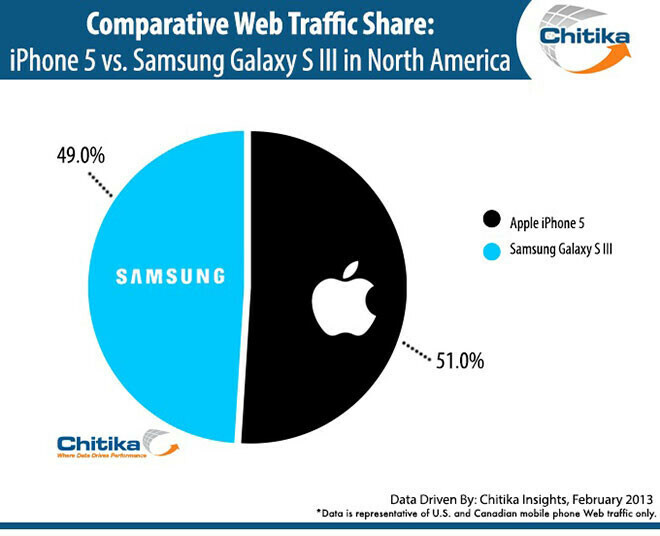 Taking a step back and looking at the whole picture, the Apple iPhone 5 accounted for 6.6% of web traffic with the Samsung Galaxy S III at 6.3%. Including all active models of the Apple iPhone, the Cupertino based firm's iconic smartphone has a 41.5% web share, down 4.5% from October. During the same time period, Samsung's web share overall has risen to 20.6% from 17%. But something is going on under the surface. While together, Apple and Samsung accounted for 62.1% with the February data, that is down about 1% since October. That means that some of the other platforms are gaining share, albeit a small amount. 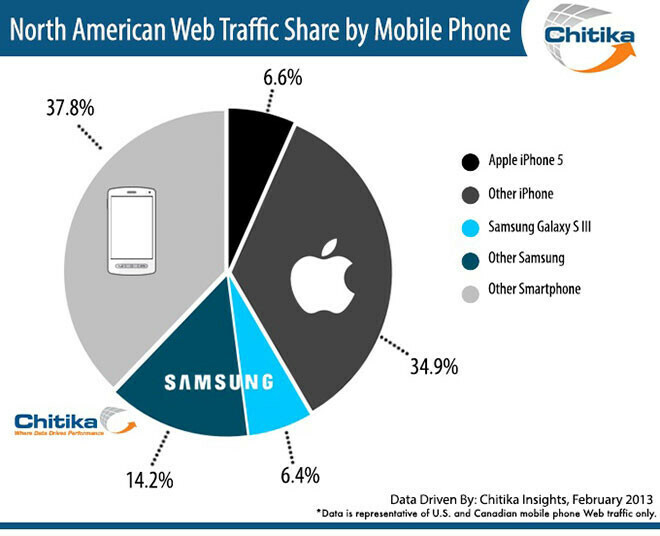 Perhaps the most impressive information from Chitika was that iOS 6 already accounts for 83% of iOS web share. That build of iOS was just launched in September. This go whoever stuff is so gay. wow that's crazy, I knew the gs3 was selling well but not that it was almost equal with the iphone 5 in north america. 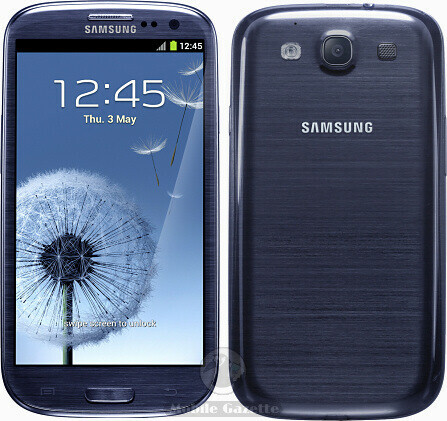 specially with the price drop of the S3..
As a customer, I am happy for the price drop. You must be some mad shareholder. People are just waiting on the next iPhone. That's why the stats are skewed. You said that exact same thing about 6 months ago. People are still waiting I guess, huh? And it will be a never ending cycle. Cuz when that happens....when the next Galaxy S high end phone is on its way to release date...many ppl will be waiting for that too. Aww, don't be mad that Apple cares more about getting money than actually getting their products into customers hands. Seriously, Apple fanboys are the only ones who find price drops bad just because they don't get any. what I dont get is that if every Android device has a price drop right after launch day.. why did they keep piling up to get it launch day? ps..never said that price drop a wrong thing..
Also eans ppl are getting an amazing phone at a really good price too. I wish the same could be said for rent or mortgages...car notes.... Mortgages and car notes kinda are right now....apt rent isnt.